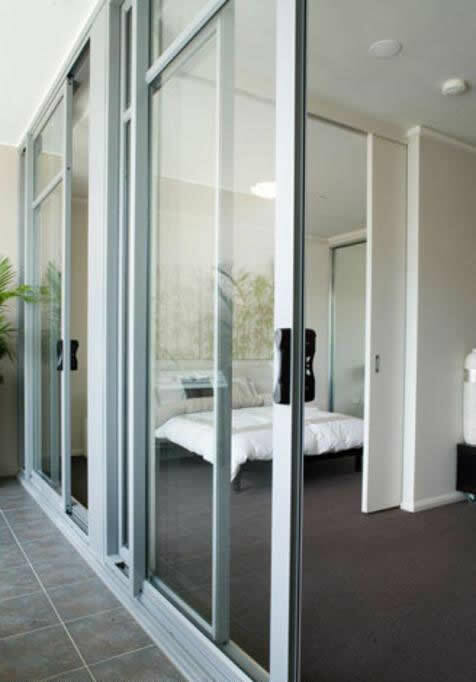 Let the outside in with our range of sliding doors that actually work like sliding walls. Open up entire rooms, pool areas, outside kitchens. 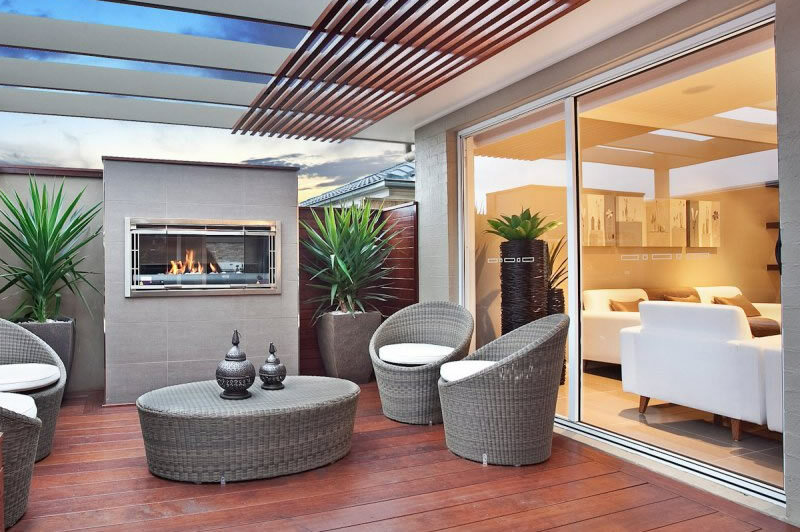 You can even extend your living areas by installing sliding glass doors that open up rooms. 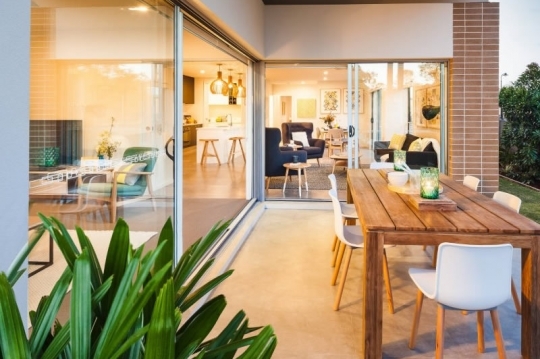 Whether you need a simple two panel sliding glass door for an investment property or a multi-panel expansive sliding wall for your dream home, we have the range of doors to suit you. 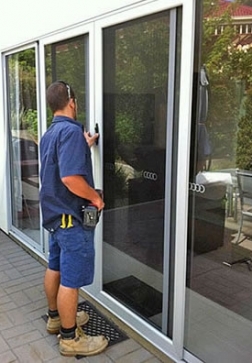 Are your sliding doors broken or sticking? Chances are we can repair them to glide smoothly again – no more wrestling to get outside or risking your security with doors that don’t seal correctly and are easy prey for burglars. 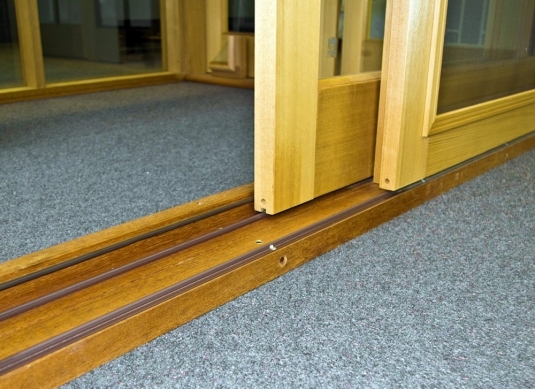 Most often, this is because the sliding door track rollers are worn or even broken. We’ll replace them with tracks that will keep you sliding free and easy. Sometimes over a few hot summers and cold winters, houses can ‘settle’ into their foundation. This can cause the wall to push the sliding door frame out of shape. A simple refit of the door will get it back to sliding normally. The two main causes of this are cheap handles and locks or too much slamming and heavy use. Our team carries a range of handle and lock options for sliding doors which take about 30 minutes to replace. Often caused by the shifting of a house or worn seals, or sometimes both. 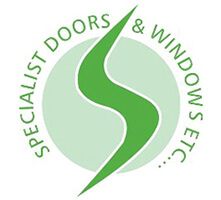 Either way, we’ll fit brand new seals, check and refit the door if necessary, and ensure it’s totally sealed from weather. Are your sliding doors worn or old fashioned? We can replace them with modern versions that look and work better and offer much stronger security. Sometimes doors get damaged to point that it makes better long-term sense to replace it. 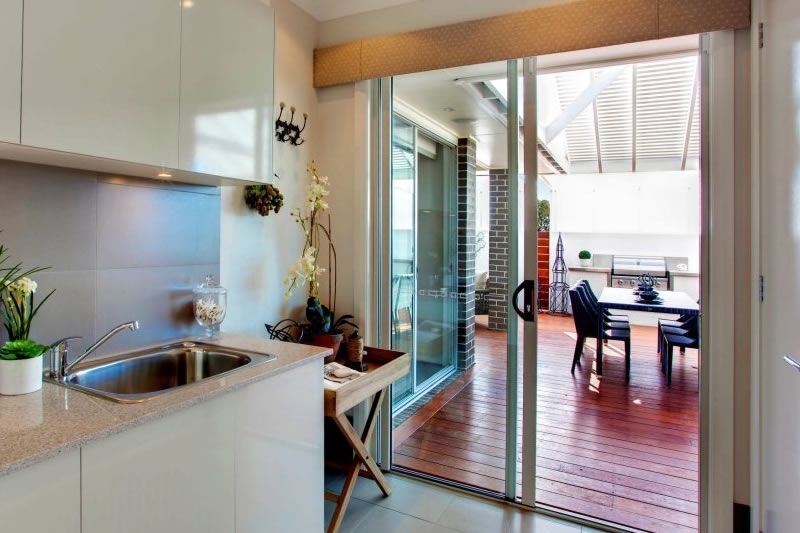 There’s nothing like the feel and ease of a glass door that slides easily and closes properly. 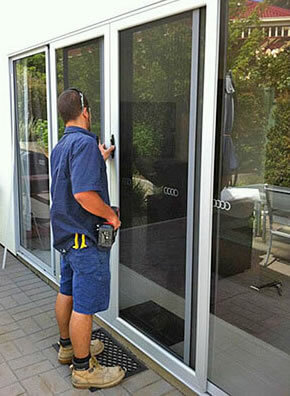 Replacing a sliding door normally takes around 2 hours once the style and fitting selections have been approved. Contact us for more details or a quote. And how about a complete facelift – one that can change your entire lifestyle? Perhaps you have old timber or steel windows and doors that you want to update to a more modern look with aluminium. Or, if you want to bring a character home back to original, remove aluminium and replace with timber. We can turn a window into a French door or sliding glass door for a more modern feel that lets in more natural light and airflow. 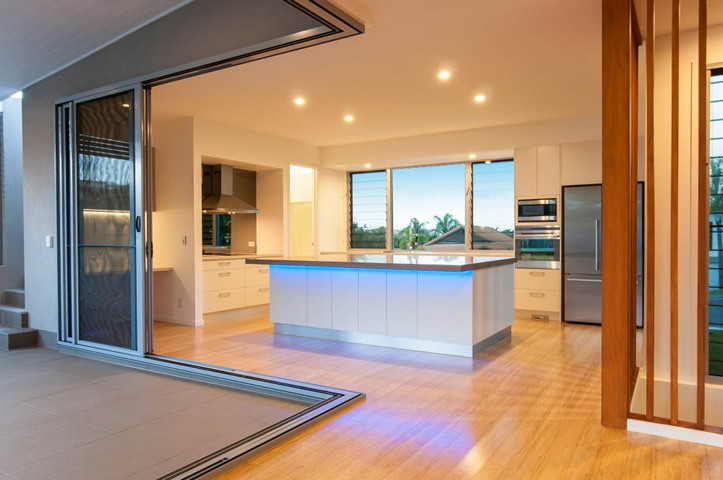 With remodelling and replacements, the whole project is taken care of including removing existing walls, windows or doors and fitting the new windows or sliding doors. We carry 7 different types of capping track to repair existing patio and sliding doors. Our range of hinges, handles and locks includes brands like Lockwood, Whitco, Doric, Superior Brass and many more. Whatever your sliding door size and style, we’ll have the right hardware to match.